A lawsuit has been filed in a US court seeking to stop non-profit groups from sending billions of dollars worth of tax-exempt donations to support illegal Israeli settlements and the Israeli army. A group of American citizens filed the suit on December 21 against the US Department of Treasury, claiming about 150 non-profits have sent an estimated $280bn to Israel over the past two decades. The lawsuit claims, according to Al Jazeera, that the donations were "pass-throughs" and "funnels" to support the Israeli army and the illegal settlements in the occupied Palestinian territories. 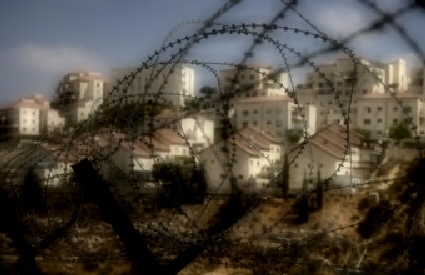 The lawsuit claims that certain non-profit groups (including the Falic Family Foundation, FIDF (Friends of the Israeli Defence Force), American Friends of Ariel, Gush Etzion Foundation, American Friends of Har Homa, and Hebron Fund) directly contributed, tax-exempt, to violations of US law and international law, subverted US foreign policy, and contributed to countless crimes and human rights abuses targeting Palestinians. The Treasury Department, which has 60 days to respond to the lawsuit, declined to comment, stating in an email to Al Jazeera: "We don't comment on pending litigation." Israeli daily Haartez published a report, on Tuesday, which revealed that a number of US charity organizations transferred about billion New Israeli Shekels (NIS) for the promotion of illegal settlements within the last five years. The number of these organizations are estimated at about 50, Al Ray reports, and their donations are tax-deductable because they are considered to be "charitable" donations. Therefore, they are exempt from paying fees, according to the report. The newspaper pointed out that this means the United States is indirectly funding the settlement project, which was opposed by every US administration over the past forty-eight years. This massive US contribution to the development of settlements is reportedly being used to buy buildings in the occupied West Bank and East Jerusalem, and to extend a helping hand to the families of Jews convicted of terrorism. US Secretary of State John Kerry on Tuesday expressed support for Israel's right to "defend" itself from "terrorism" and "senseless violence," in comments which will most likely be viewed in stark contrast with the reality faced by Palestinians. Speaking before a meeting with Israeli Prime Minister Benjamin Netanyahu in Jerusalem, Kerry said: "It is very clear to us that the terrorism, these acts of terrorism which have been taking place, deserve the condemnation that they are receiving." He expressed his "complete condemnation for any act of terror that takes innocent lives and disrupts the day-to-day life of a nation." Kerry made no mention of either Palestinians or Israel's nearly 50-year military occupation of the Palestinian territory in the comments, according to Ma'an News Agency. At least 93 Palestinians have been killed by Israelis since the beginning of October. While Israel alleged many of those were attempting to attack Israelis when they were shot, Palestinians and rights groups have disputed Israel's version of events in a number of cases. The attacks that have taken place -- claiming the lives of 19 Israelis -- have been accompanied by a wave of popular unrest that has swept the occupied Palestinian territory and Israel. While Israelis have sought to blame the unrest on religious incitement, Palestinians have pointed to Israel's occupation and ongoing settlement program, no prospect of a political solution, and a deep sense of frustration and despair. 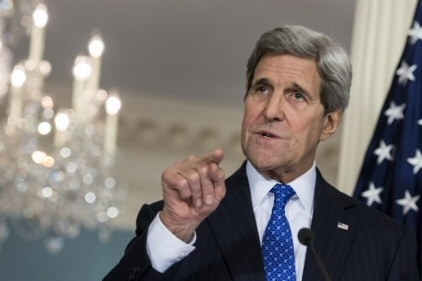 Kerry said that "Israel has every right in the world to defend itself. It has an obligation to defend itself. And it will and it is. Our thoughts and prayers are with innocent people who have been hurt in this process." He said that he wished to talk with Netanyahu about a joint bid "to push back against terrorism, to push back against senseless violence and to find a way forward, to restore calm and to begin to provide the opportunities that most reasonable people in every part of the world are seeking for themselves and for their families." Israeli daily Haaretz reported, on Tuesday, that Netanyahu is seeking US approval on construction inside Israel's illegal settlement blocs in return for possible concessions in the occupied West Bank. A senior Israeli official told the newspaper that the US wanted Israel "to implement a package of meaningful measures in the West Bank," while Netanyahu had "made it clear that we want American recognition of the settlement blocs and of the fact that we can build there." Before meeting with Kerry, Netanyahu said the US was "a friend in our common effort to restore stability, security and peace." The prime minister added: "There can be no peace when we have an onslaught of terror -- not here or not anywhere else in the world, which is experiencing this same assault by militant Islamists and the forces of terror." He said that the international community should support its fight against Palestinians. "It's not only our battle, it's everyone's battle. It's the battle of civilization against barbarism." Netanyahu previously joined Israeli leaders in comparing Palestinian acts of violence to deadly attacks in Paris earlier this month that claimed the lives of 130 civilians. After those comments, senior PLO official Hanan Ashrawi condemned Netanyahu for "cynically exploiting" the Paris attacks "to create a misleading linkage and to justify Israeli state terror against the Palestinian people, while presenting Israel as the victim." She said that "in fact, Israel is an occupying power" that has "habitually terrorized Palestinian civilians, stolen their land and resources, and demolished their homes." Ashrawi slammed the Israeli prime minister for "disingenuously claim(ing) self-defense while labeling any form of Palestinian reaction as 'terrorism.'" She added: "Nowhere else is a ruthless occupier presenting itself as the victim and justifying its atrocities as self-defense." Israeli Prime Minister Benjamin Netanyahu, on Friday, addressed American spy, Jonathan Pollard, who was released on parole after serving 30 years in prison, after handing over top-secret classified information to Israel. “The people of Israel welcome the release of Jonathan Pollard,” the PM said in a video statement. “As someone who has raised his case among successive US presidents many times, I longed for this day,” Netanyahu continued. The former intelligence analyst for the US government was arrested in 1985, and pleaded guilty in 1987, to charges in violation of the Espionage Act. He was, Ma'an News Agency reports, the first and only American to serve a life sentence for leaking classified information to an ally. 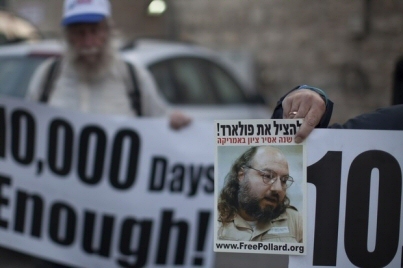 Pollard’s sentence has remained a contentious issue between the US and the Israeli government, which made several efforts over the last three decades to expedite his release. Pollard was granted Israeli citizenship in 1995, while still in jail, and he plans to move to Israel, where he is expected to receive significant back-pay from the Israeli government, according to Israeli daily Haaretz. The grounds of his parole, however, prevent him from leaving the US for at least five more years, despite reported lobbying by Netanyahu for his direct release to Israel. Israeli media reported that Netanyahu requested Israeli politicians to subdue their public responses to Pollard’s release, out of fear that doing so would prevent the US from potentially allowing his early release to Israel. 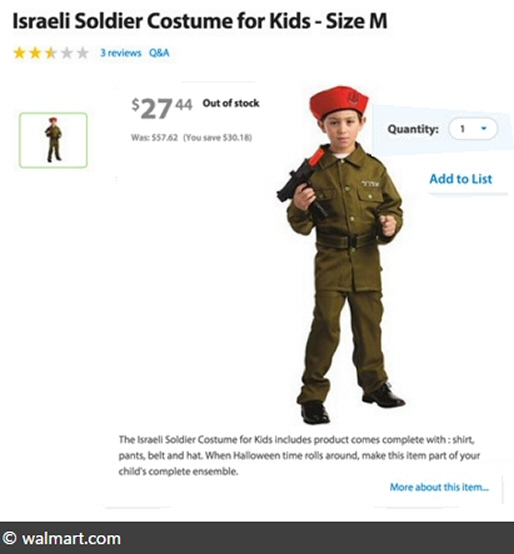 As the winter holiday season approaches in the United States, international megalith superstore chain "Walmart" has reportedly struck a raw nerve with shoppers by offering a discounted costume resembling an Israeli soldier's uniform, for children's Halloween festivities. “Your little one can now go to his friend’s house, and take over their bedroom, and all of their toys and claim that God has given him/her the right to take it,” said another commenter, who also provided instructions on how to handle “your little IDF soldier”, once he or she put on the uniform. In addition to the soldier costume, Walmart has also offered a large faux "Arab" nose, which civil liberties groups condemned as both offensive and racist. Walmart, the US' biggest employer, quickly withdrew both items, according to Al Jazeera. EBay told AFP news agency that it had withdrawn the nose, but Amazon has continued to list both costumes, offering no comment on the matter. Headquartered in Bentonville, Arkansas, United States, the company was founded by Sam Walton in 1962 and incorporated on October 31, 1969. It has over 11,000 stores in 28 countries, under a total of 65 banners, according to Wikipedia. The company has been subject to intense criticism from various groups and individuals, including labor unions, community groups, grassroots organizations, religious organizations, environmental groups, as well as the its own customers and employees. They have protested against company policies and business practices, in addition to charges of racial and gender discrimination. Other areas of criticism include the company's foreign product sourcing, treatment of suppliers, employee compensation and working conditions, environmental practices, the use of public subsidies, the company's security policies and allegations of modern slavery. Walmart denies any wrongdoing and maintains that its low prices are the result of efficiency.